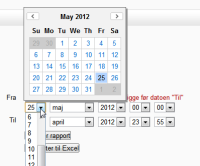 Using Firebug, edit the HTML and remove the fields 'Type of event', 'Name' and 'Description'. 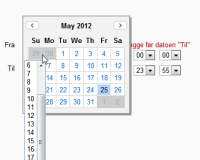 The popup is constrained by the form area, but this is too restricted for some cases. I've added a picture of the form constrain, and one where it has been replaced by the body element (simple fix).